Couturiers are a superstitious lot. Gabrielle Chanel cited five as her lucky number (obviously); Yves Saint Laurent thought any fabric that his bulldog Moujik sat on would be the collection's best-seller. The notion is actually embedded in haute couture lore, where everything – from dropping scissors to pricking fingers – signifies something different in terms of the stars, and where finale wedding dresses are filled with hairs sewn in by seamstresses hoping to get hitched. Christian Dior, however, was the most superstitious of them all, forever looking for a bit of wood to touch. Dior began his autobiography, Dior and I (1957), by eulogising his good luck, and packed ritual and meaning into every one of his shows. His talismans – the lucky totems of the house of Dior – carry through until today. 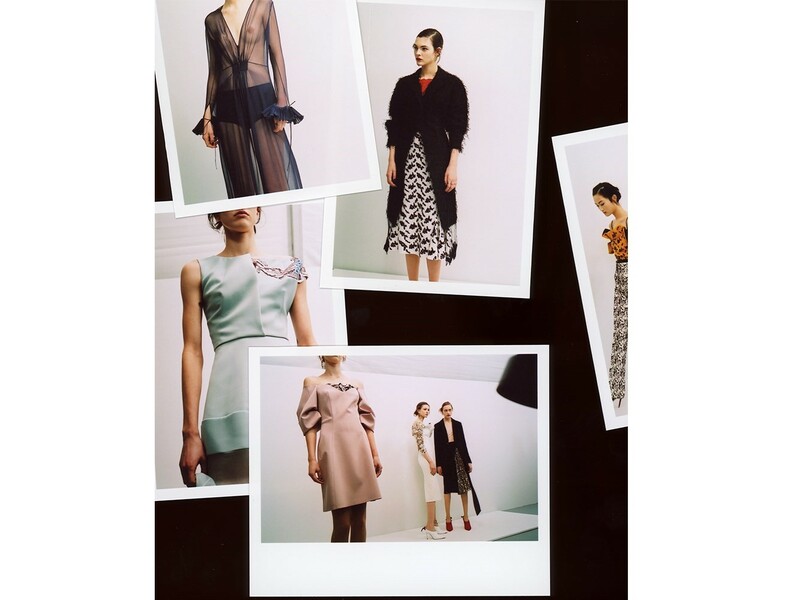 Perhaps understandably, without an official creative director, the small team overseeing the house of Dior's Spring 2016 haute couture collection included a fair few in their clothing too – talismans that Dior himself found lucky, and that have subsequently come to represent the good fortune of the house. In all, their inclusion ensured smooth sailing around these rocky waters, while the Dior dauphin remains to be named. Monsieur Dior's lucky number was eight – and, although it was rapidly rechristened the "New Look" by the forceful Carmel Snow of Harper's Bazaar, "8" was one of the names Dior gave to the debut lines of his spring 1947 collection. That was because the cinched waist and emphasised bust and hips resembled the numerical figure – and still do. These cuts appear today in the shape known as "Bar", originally a tailleur of a vast pleated wool skirt and silk shantung jacket, the latter cut without a shoulder seam and with padded basques over the hips. In haute couture tradition dating back to the seventeenth century – when the incorporation of Parisian trade guilds meant that men had to tailor women's riding habits and corsets – the jacket was cut by a man. In this original case of Dior, it was by the young Pierre Cardin, who would later found his own house and excel in designer licensing. The Bar jacket is still a lynchpin of the house; this season it appeared numerous times, open and closed, tailoring the collection to fit the Dior template. Speaking of names, the other ligne Dior launched in spring 1947 was called "Corolle", after the corolla of a flower. "I designed clothes for flower-like women," said Dior, "with rounded shoulders, full feminine busts and handspan waists above enormous spreading skirts." Those skirts opened like a flower, you see – hence the notion of Dior's femme fleur. Today, the blooms are most frequently translated into foliate embroidery, which Monsieur Dior himself adored, albeit interpreted with a modernist slant. For spring, petal-like bodices unfurled over shoulders and waists, like flowers clambering up the body, and tiny tremblante blooms puckered the surface of fabrics. The lily-of-the-valley was Dior's favourite flower. Why? Because it's been offered as a good luck token between the French ever since the 16th century. Accordingly, it was never absent from a Dior show: besides the floral displays overflowing in the salons, Dior used to tuck fronds of it into the hems of his models for good luck. He based his first perfume, Miss Dior, around the flower's fragile, sweet scent – and his salons were liberally sprayed with it before each show. The plant itself, Latin name Convallaria majali, is also a symbol of spring – so it's entirely appropriate that Dior embroidered its form onto a short, waisted ivory jacket with cuffs jutting like macro-scale haute couture counterparts to the flower’s bell-like blooms for their latest summer show... even if it wasn’t backed up with all that heavyweight Dior and I iconography. Dior loved big-cat prints. Maybe that was inspired by Mitzah Bricard, an exuberant former demi-mondaine and muse to the couturier Captain Edward Molyneux, who habitually rose at 2pm to prowl 30 Avenue Montaigne and throw out ex cathedra comments like "When a man wants to send you flowers, say 'my florist is Cartier'." Camp as Christmas – or even Cartland – Bricard was revered by Dior as the ultimate in "that indefinable and perhaps slightly neglected thing called chic." Her uniform was leopard, usually combined with pearls, and she was ostensibly charged with heading Dior's millinery. In actual fact, she was simply an inspiring presence: woman as talisman. Her influence endures in Dior's animal prints: for spring, sometimes arranged through flowers, to give the impression of panthère prints beaded across delicate silk crepe de chine. You like to think Mitzah would approve.